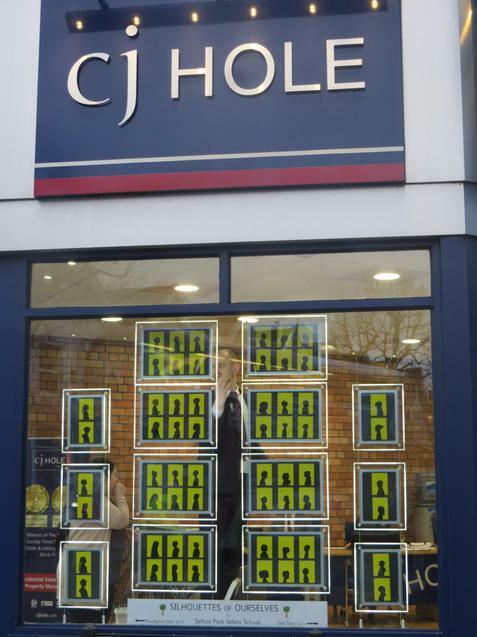 Year 2 children from Sefton Park have participated in the community art project, Window Wanderland, by producing a window display for CJ Hole estate agents on the Gloucester Road. 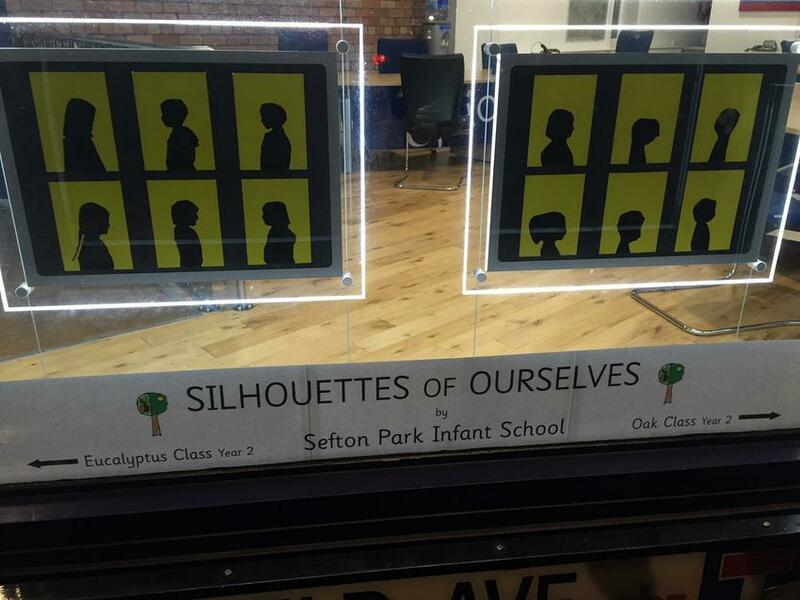 Entitled 'Silhouettes of Ourselves', the display featured the silhouettes of all Oak class and Eucalyptus class children in the agency's feature window. 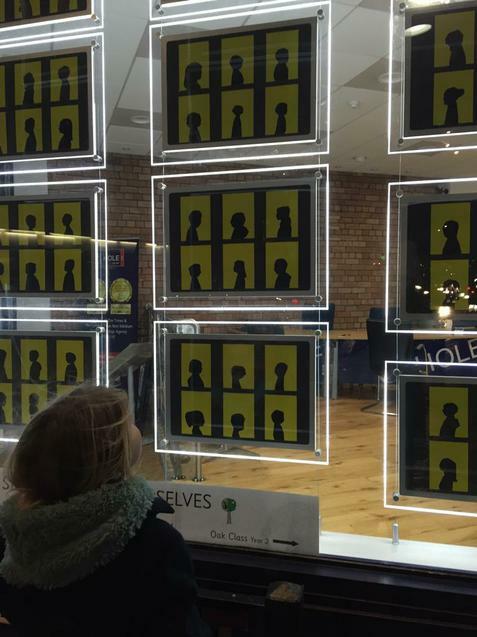 The silhouettes, laid on yellow paper and lit from above and behind, were displayed in sets of two and six, as shown below. 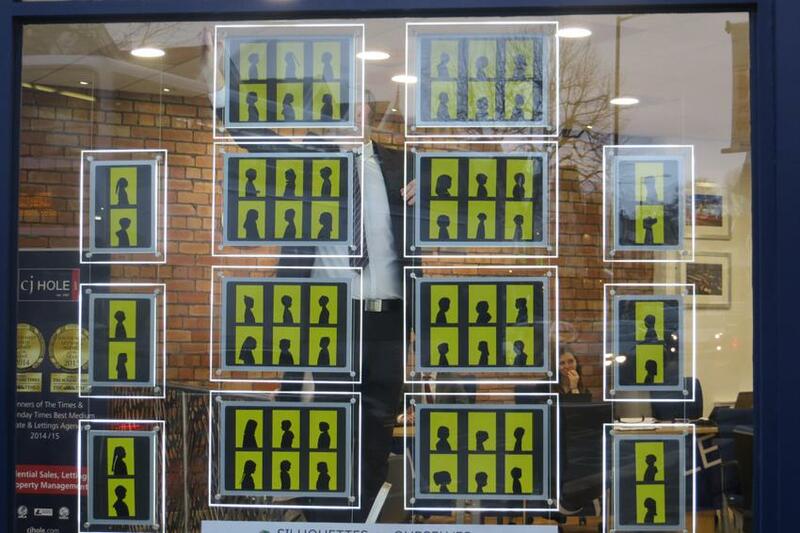 The successful Window Wanderland event, in its second year, featured window displays throughout the Bishopston area. Despite the wet and windy weather, the 'magical trail to light up your streets' inspired, surprised and amused spectators from 6pm to 9pm on Saturday 20 and Sunday 21 February. "We enjoyed creating the display for CJ Hole', said the Year 2 children. 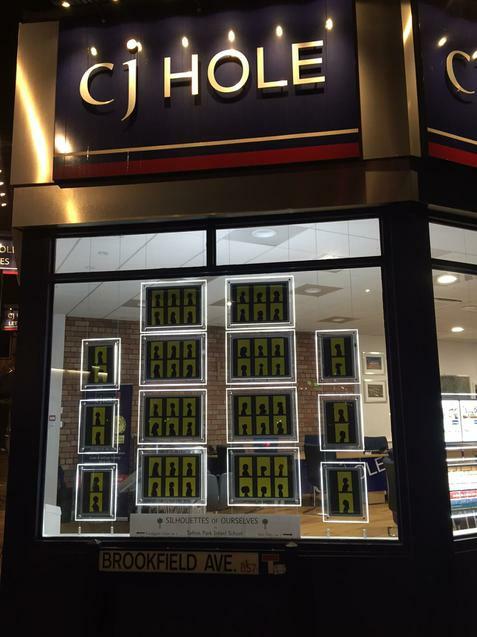 "Thank you for letting us show our artworks in your window!" The artwork is now on display on the Year 2 celebration board in school.